After that amazing show you gave us (post and photos coming soon), and these wonderful 70 degree evenings, we spent a few days off at the Farmhouse on Main. During that time, we officially laid claim to the front porch....now we can say this sweet place is ours! 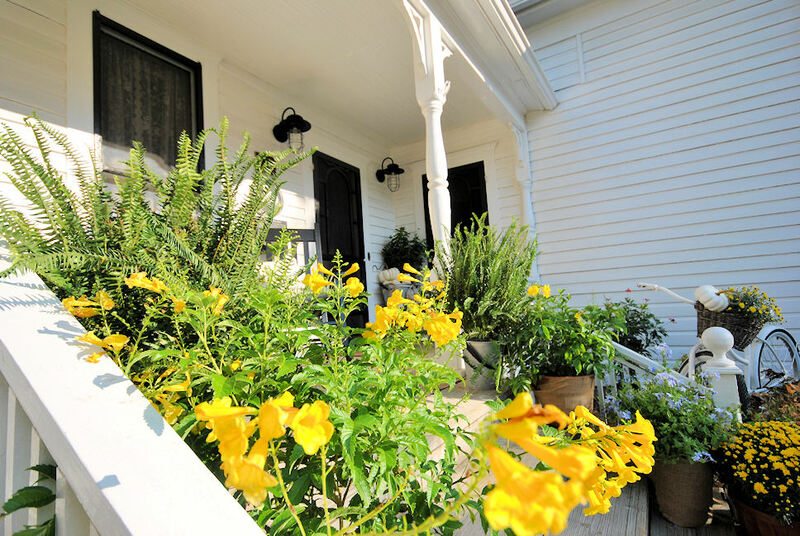 Porches are such an important part of our homes, don’t you think? and is owned by none. 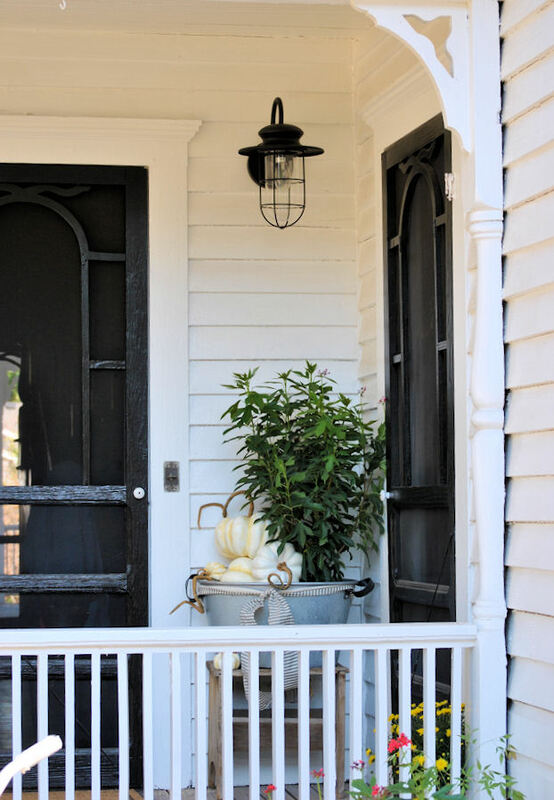 The front porch is our chance to welcome our guests even before we’ve opened the door. While they wait, the porch is already saying hello. 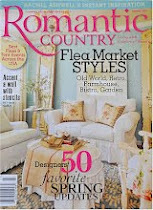 So, it’s only fitting that this was our first official project at the Farmhouse on Main. We added a porch swing and a rocker, lots of plants, and even freshened up the lighting. 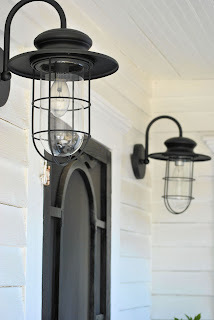 I love these farmhouse style lights and was amazed by the difference they made. As a child, it seemed everyone sat on their porches in the evening. I can remember waving to neighbors as we walked or roller skated by. We don't seem to do that as much anymore. Do you notice it too? Now, most porches seem to sit alone, wouldn't it be sad to lose such a sweet tradition? So, perhaps this weekend we could turn off the electronics for just a little while and spend a little evening time on our porches. 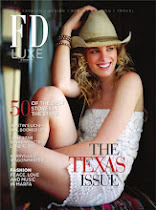 I have so much more to share with you, lots of blogs heading your way. But first, what’s going on in your world? Link up below and tell me about it. And, I'd love for you to add the Farmhouse Friday button to your blog! You are so right about people not using porches like they used to, we used to know who all of our neighbors were. 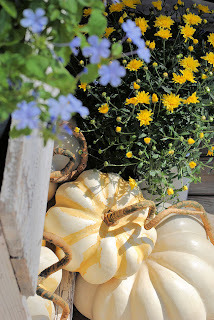 Your porch looks so beautiful, love those lights and the galvanized bucket with pumpkins! OMG, I want to take a nap on that porch! 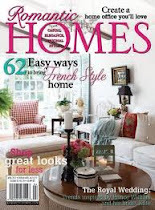 I can't wait to see more of the makeover of your farmhouse! So beautiful! More photos please! 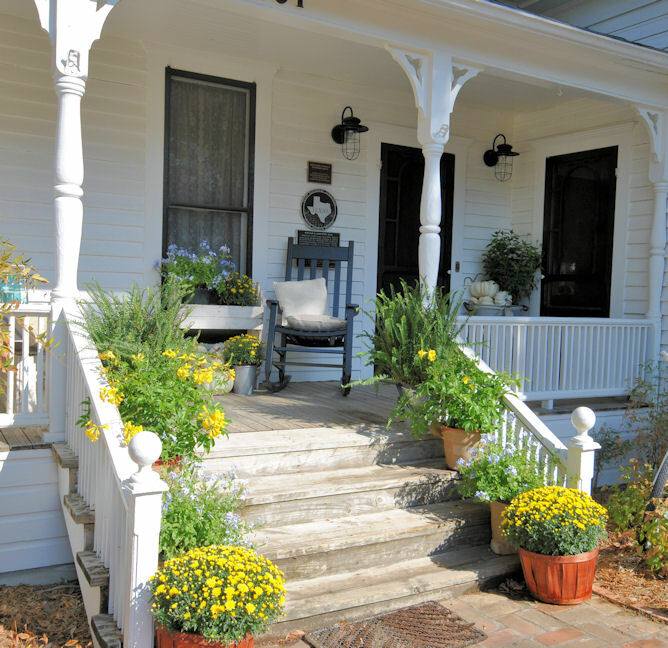 Nothing sweeter or more nostalgic than a welcoming front porch! 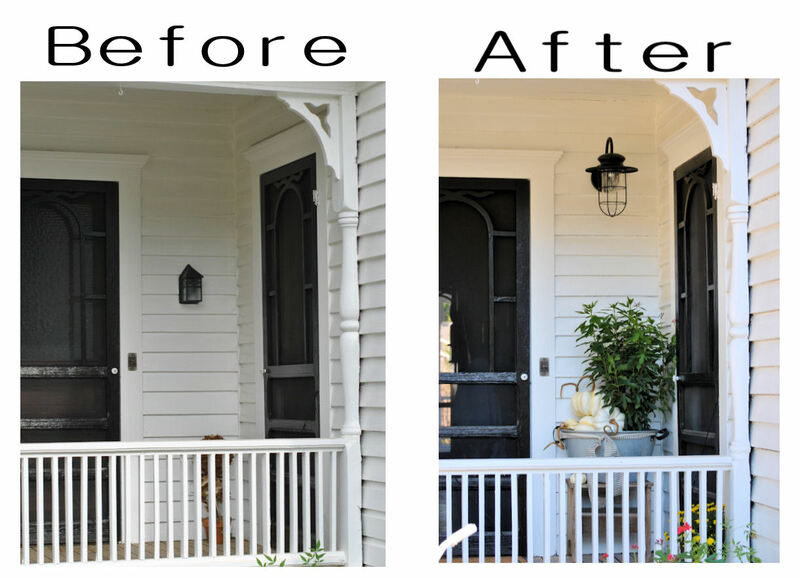 Love your new light fixture and your porch decor! This post just gets me started on my front porch. I can't wait to do some more! Thanks for having us over! Oh how I love porches! And this one is a beauty! 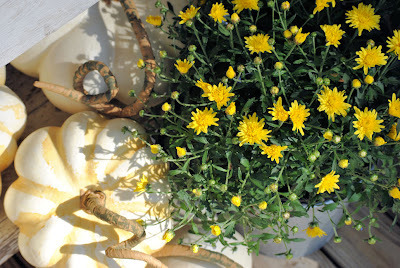 And I'm intrigued by the yellow striped pumpkins or gourds. I have never seen them before, but they are adorable too! 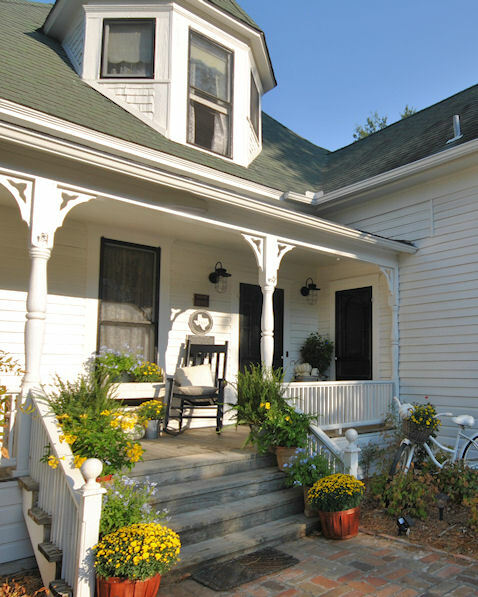 Oh, I love this porch and I LOVE porches. We use ours all the time, speakers wired out to it so we can dance or listen to the local news! (I know, we are crazy, but we practically live on the porch!) I came home from the long weekend and immediately redecorated the porch, I'll be posting soon!! Thanks LaurieAnna! I've been looking forward to your party again. Your new porch is wonderful. Amazing the difference the lights make. Porches are so cozy, and yours is just beautiful! So adorable! Such great inspiration to spruce my porch up this weekend. We're very lucky that in our neighborhood, front porch visits are part of everyday life. The first thing we did last weekend when it cooled down was go strolling and visiting! 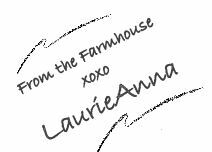 Thank you for hosting us, Laurie Anna! LaurieAnna - I LUV your new porch lights! Where did you purchase them? 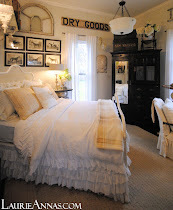 They would look fabulous on Heaven's Walk.... :) Your farmhouse looks so cozy and welcoming. You must be sooooo happy to be finally moved in! 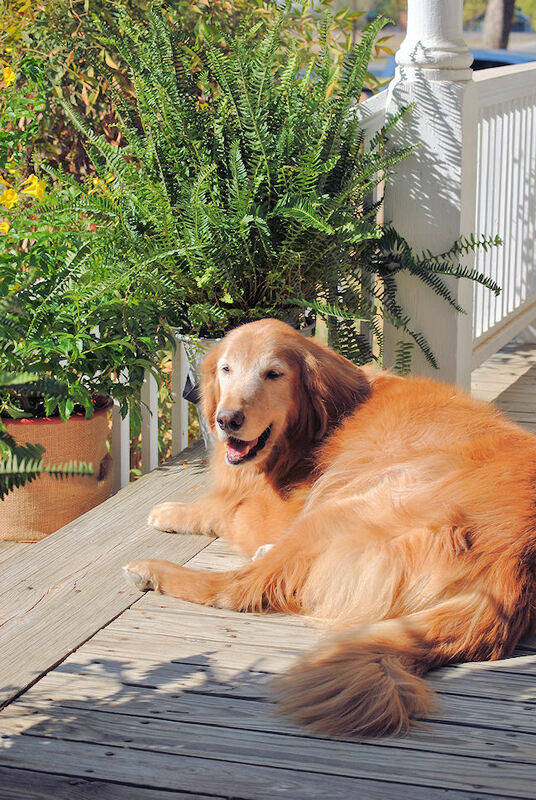 Your porch is wonderful! 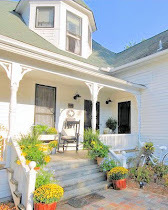 We have a front porch too and it's such a sweet and welcoming spot to sit and rock and watch the neighbors stroll by. Everyone needs a front porch! Thanks for hosting Laurieanna. Can't think of a better place to recoup after the busy few weeks you had! 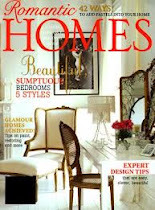 You've made your mark on the house and it's beautiful -- love the vintage bike (I have one of my gardens!) and the farmhouse style lights. What a difference small changes make! Wish we were neighbors, we could talk to each other from our porches rather than the internet. I do remember folks sitting out and visiting. Not so much anymore. Your porch is perfect. Can't wait to see it at Christmas time! Your new lights look great on your porch. We live on our porch 10 months out of the year! I was interested in your screen doors. Were they original to your house or did you purchase them somewhere? I am looking for a new screen door and the design of yours is unique. That fronch porch is so welcoming and beautifully set for Fall! Picture perfect in every way! Hey Laurie, I love your porch it's so pretty and the farmhouse style lights adds the perfect touch!!! I love your porch. Just moved down south and am looking for that special cottage with porch! Just love them, they are so special. 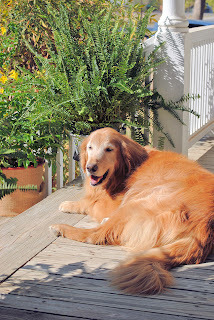 Our porch is the one place in our home that is always occupied! It's not neat and cozy although it is lived on with the arm always willing to wave at a neighbor driving by. I love your porch and I agree with you people just don't seem to sit a spell anymore. :) Welcome back and Thank you for hosting. When I saw your porch lights, I had to go out and look at mine....very, very similar except mine have a base! 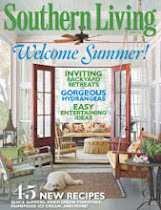 How funny and, of course, the swing porch and wicker furniture for lounging on my porch. The lights on the porch are stunning!! Love love love it all... Life looks grand on Main!! Your porch looks so inviting, LaurieAnna. The lights are a wonderful addition. I love your front porch - it's perfect! Joining in your party this week & I'm a new follower. So cozy and invitiing. Takes me back to childhood days visiting with my grandma on the porch. Love your golden, too! Mine is "Charlie". 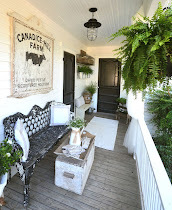 Love the transformation of your "Farm House Porch"! Can't wait to see what you are doing to the rest of your new "abode"! Oh I love sitting out on the porch! What a beautiful transformation you did on your porch. It looks great!! where do you get the lights? where did you get the lights? I have only touched the surface of your site, and I'm thrilled to have "discovered" you. 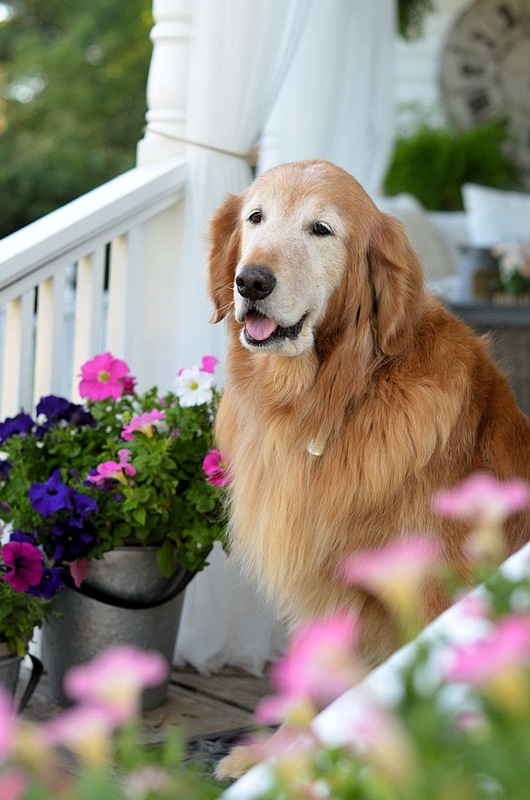 You have made my day with your beautiful porch. My husband has been after me to choose a porch door. I love your screen doors. Could you show what the actual door looks like or tell me? I can't see for the wonderful screen doors. The lighting is to die for!